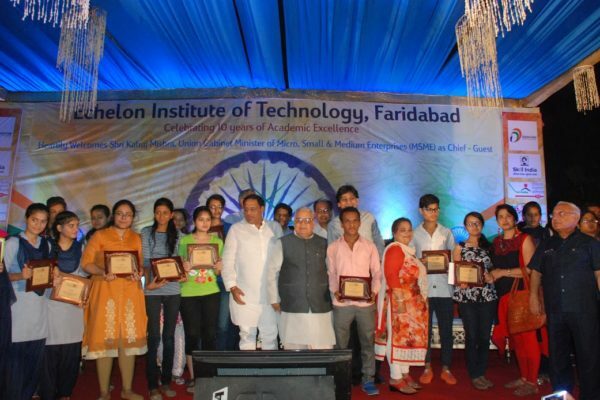 On 10th June 2017, a grand function was held at the Echelon Institute of Technology, Faridabad to commemorate “Ten years of Academic Excellence”. 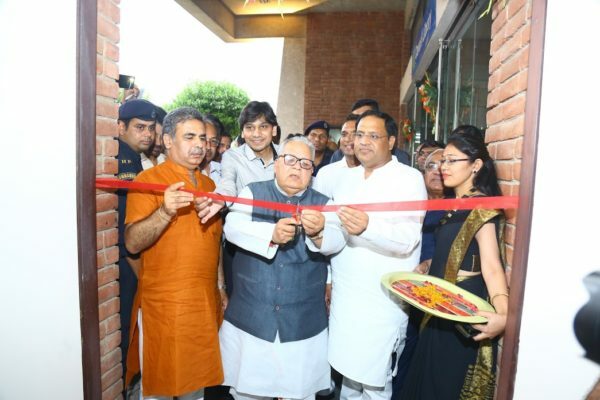 Shri Kalraj Mishra, Hon’ble Union Cabinet Minister of Micro, Small &amp; Medium Enterprises was the Chief-Guest. 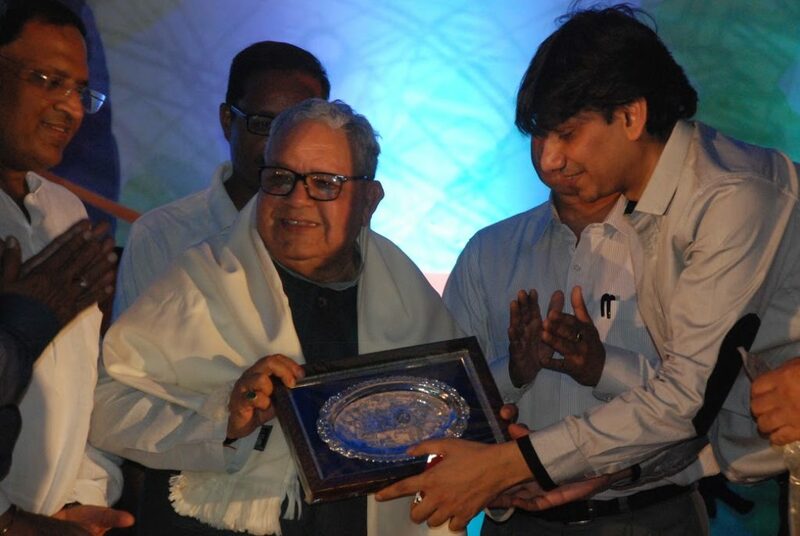 Sh Vipul Goyal, Minister for Industries, Haryana, was the Guest of Honour. Prof KS Rao, IIT, Delhi presided the function. The Chairman of Echelon Institute, Shri Prabhat Agarwal welcomed all the guests and thanked them for their gracious presence in the program. He expressed his commitment to experiential learning with a focus on creativity and innovation in engineering education and promotion of Prime Minister’s Kaushal Vikas Yojana (PMKVY). He also expressed his plans of joining hands with MSMEs and signing of MoUs with them for the promotion of creativity and innovation The Principal Prof (Dr) Praveen Pandey highlighted in his address the salient achievements of the institute and elucidated how the institute had grown to such heights in the last one decade. 62 candidates registered themselves for these courses. 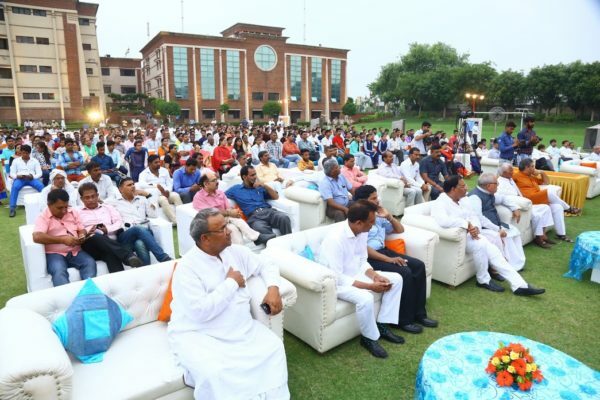 Under this program, Echelon proposed to open 1000 centers for skill development across the states of Haryana, Delhi NCR, Uttar Pradesh and Punjab that will further be increased up to 10,000 centers across the nation in coming three years. 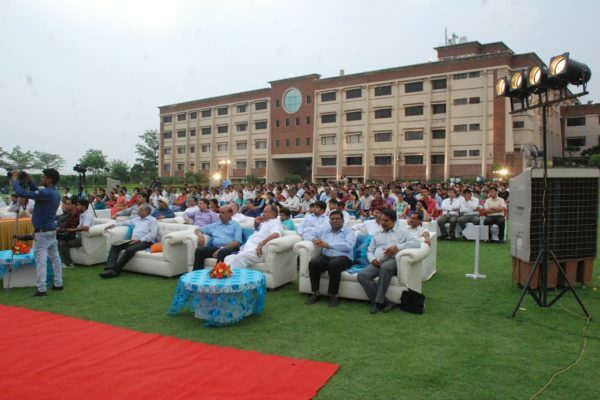 Best engineering colleges in Delhi NCR. (b) The launch of the second phase of the Digital Literacy Campaign across 84 villages and 40 municipal wards of Faridabad Corporation and amp; 180 villages of Palwal District. 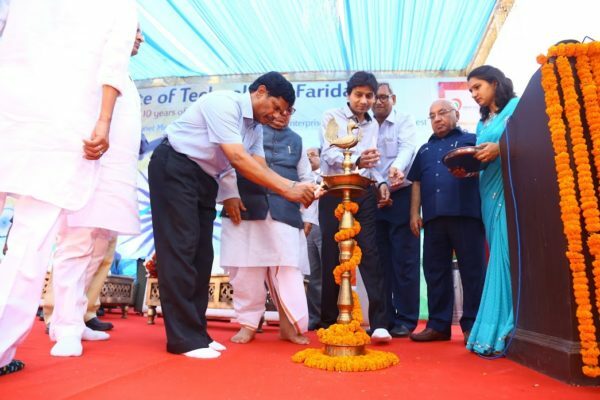 The first phase was launched last year wherein 450 youths were trained to use the internet and computer hardware. (i) Providing real-life problem solving and learning opportunity for our students. (ii) Helping MSME units reap benefits from the creative ideas and solutions that students may be able to provide. MOU’s were signed with MSME companies on this occasion. (iii) Under the quote, “Rashtriya Gram Swaraj Yojna” and “Unnat Bharat Abhiyan” Echelon committed to adopting six villages where the institute shall provide technical solutions for the present day challenges faced by rural and semi-urban developments. MOU’s were signed in this regard with Sarpanches of five villages. (a) Honoring of Principals & Students: Principals and school toppers from 60 reputed schools of Faridabad and Palwal districts were invited. Principals were honored for their distinguished services in the field of education. 158 Students were awarded for their meritorious performance in 10+2 examinations. (b) Empowerment Scholarship Scheme: Intending to provide unparalleled service to humanity, the institute seeks to adopt and educate one meritorious student from every municipal ward of Faridabad region at Zero Fee. As a part of its Conscious Social Responsibility (CSR) the institute does not want any brilliant student to be deprived of opportunities in life The highest aggregate percentage scorer in class 10+2 (PCM) 2017 from Central/State Board shall be selected from every ward for this award.